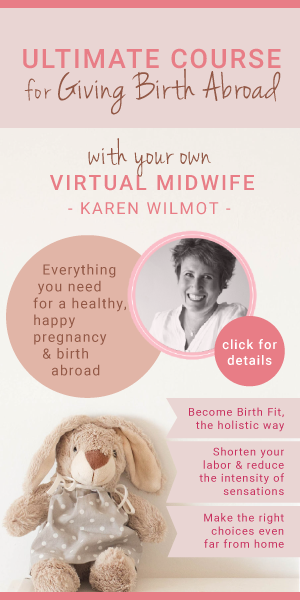 I sat down with Karen Wilmot, the Virtual Midwife, and asked her some questions about the 6-week course she is offering to mothers around the world. Karen is a midwife who has been helping mothers give birth in foreign countries for the past 20 years. 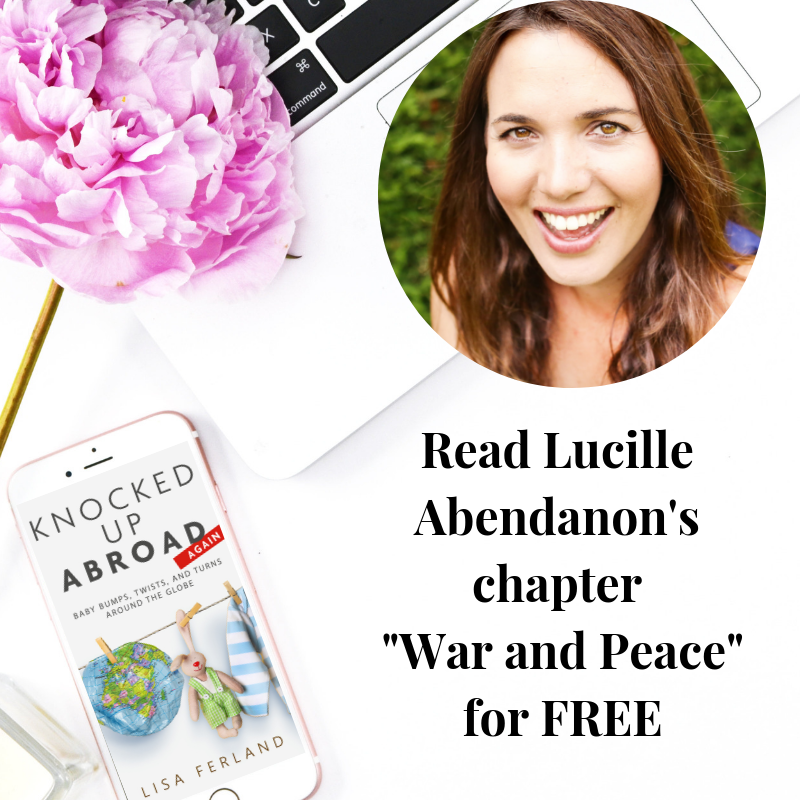 She understands the core of the fear and anxiety that mothers experience while they are knocked up abroad and they are the same themes that come up again and again in the Knocked Up Abroad stories. We’re talking about language barriers, unfamiliar healthcare systems, local birthing practices that clash with personal preference, lack of a supportive family/friend network, and the multitude of factors that impact mothers giving birth abroad. Karen has gathered her 20 years of experience and packed them into a 6-week course that she is offering at a huge discount for a limited time only. The cost is currently $279 which includes all course material and monthly group calls for the duration of their pregnancy—and beyond if they choose as it is a lifetime membership, however, they understand that the real value of the course is during pregnancy. Which tests are required in each trimester? understanding of your role in preparation & coping style. Learning to embrace the power of your mind during pregnancy and birth. Learning to work with factors that are within your control. Understanding the muscle layers of the uterus and how they work in labor. Learning what intuition feels like for you. Exploring intuition and your five senses. Using your intuition to guide you during decision making. How to eliminate factors that influence pain. Know how to discuss & negotiate interventions during pregnancy and labor. 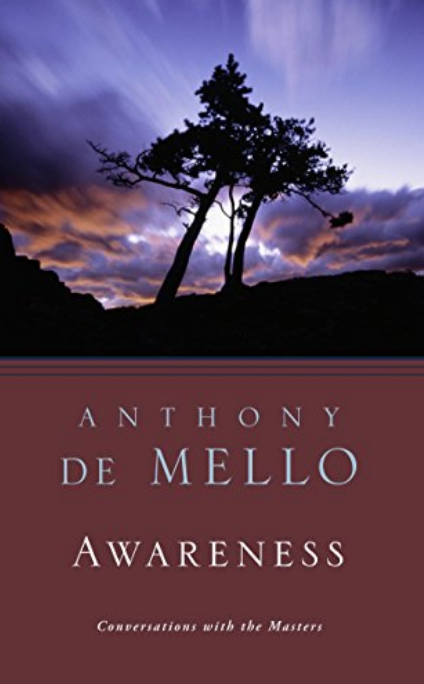 Understand the concept of “watchful waiting” (doing nothing and waiting for labor to move along or for issues to resolve on their own) or using simpler, less invasive alternatives. Know that you have the right to accept or refuse procedures, drugs, tests, and treatments, and to have your choices honored. I don’t advertise third party products on my site because I like my readers to have an ad-free reading experience. The emotional weight of personal essays doesn’t jive with Google Ads. It just feels…false to me so I keep them off my site. I’m happy to let you know about Karen’s program because this is the type of thing I wish I had when I was pregnant with Lucy. Gah, how I wish I had known someone who had been there and done that could help me navigate everything I was experiencing rather than feeling adrift on the iceberg in the middle of my Swedish sea. I joined mom groups on Facebook and we commiserated about pregnancy in general but I didn’t have anyone who was supporting me in my multilingual world. I didn’t know how to approach Swedish midwives. Would they speak English with me? Would I be confused if they kept speaking Swedish? What would I be missing? Did it matter? 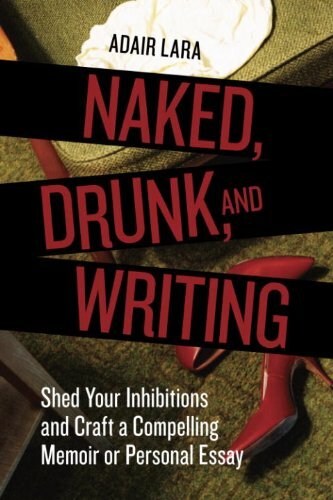 I had no idea that those unanswered questions added layers of stress to my already stressful situation. We prepare for so many things but so many women “wing it” when it comes to their birth. Why? Being pregnant is hard enough. You don’t need to go through it alone and knowing Karen personally, I can vouch for her warm and comforting personality. She’s the person I’d prefer to turn to if I could do it over again. Part of the reason why I accidentally gave birth at home without any medical help is because I had no idea what to expect. Despite it being my second birth, it was so different from my first that there was no comparison. 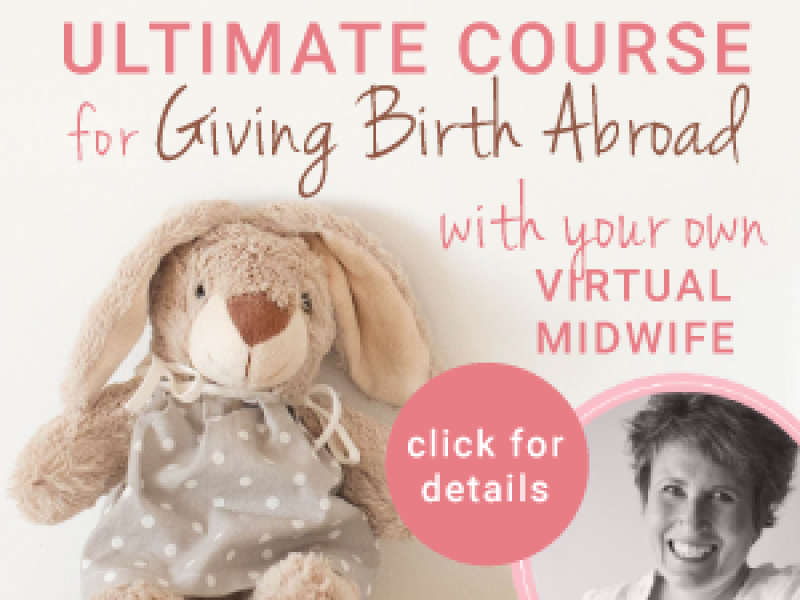 Definitely check out Karen’s program if you are knocked up abroad or know someone who is. She has video overviews of each week in the course so you know what to expect and can test drive the content a bit. 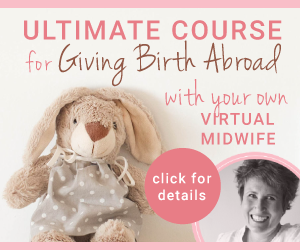 If her approach connects with what you want in your birth, then you deserve to have an experienced midwife help you out. Click here to read personal testimonials from the women she’s helped out in the past.